Hoping the booklikes universe has the answer. 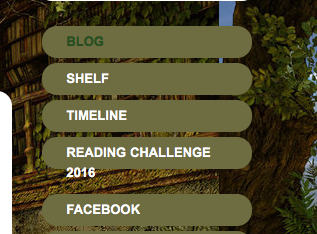 Would like to delete the "2016" on the Reading Challenge Button on my right side bar, here's the link http://thebookendsreviews.booklikes.com/, also added a pic. If anyone knows how to do this would love to know. It automatically wraps and doesn't fit in the button frame. I've seen other blogs that do not have the year in the title. I may have done this to myself but don't remember where to change it. Also posted in booklikes discussions. Instead of having endless discussions on a single post, which quickly leads to notification hell, how about faking it with the BL tags feature and blog pages? As a stopgap workaround it actually works quite well. Currently it is a bit hard to figure out who posted something originally (unless you click on 'reblogged from' often enough to get there and then reblog it from there which can get a bit tiresome if the post has been reblogged very often). There is a way to include the original source in your post so that everybody can see that this is your post. It's a bit fiddly (and you still won't get any notifications if somebody reblogs your post from somebody else obviously) but if you like to know people that this is your post it's the only way (at least currently) and it takes only a few more clicks. 3. Hit the 'Edit'-button of the post in question. 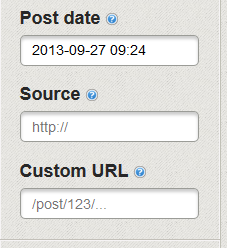 That link will remain there even if reblogged.